S'mores are too yummy to leave behind when summer camping is finished. Let's be completely honest. The ration of non camping to camping s'more consumption is like 100:1 in my house. 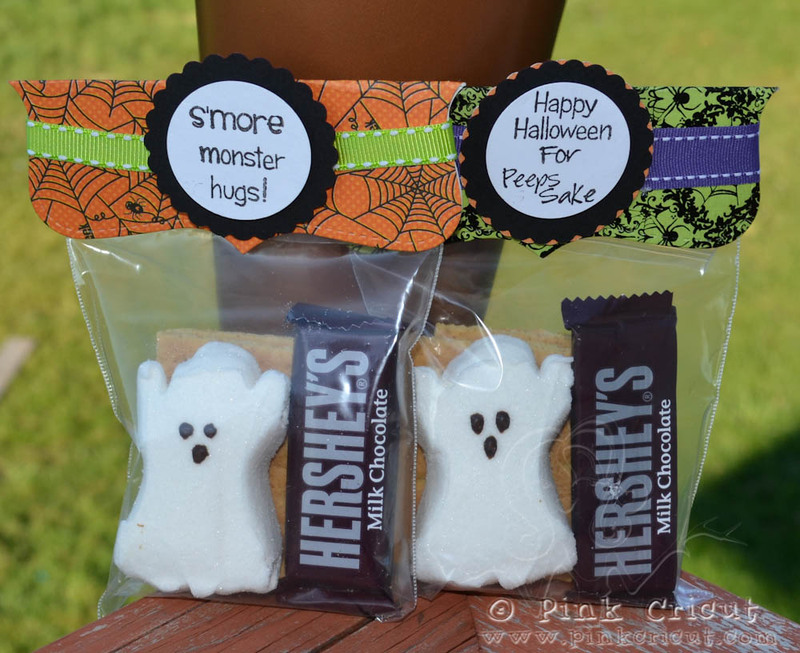 So lets use some spooky marshmallow ghosts to make them completely Halloween appropriate. 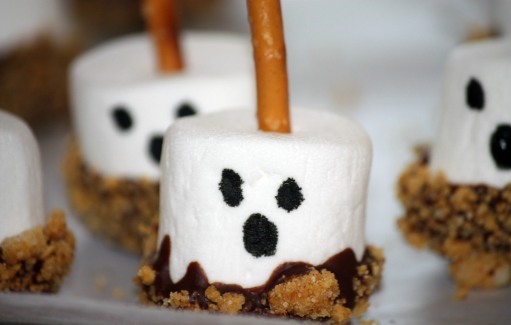 Blondies and Brownies made these cute s'more ghost marshmallows. They would be cute on top of a Halloween cupcake too. You can have lots of fun with ghost shaped marshmallow Peeps. Create spooky s'mores in a bag like Pink Cricut for a Halloween party favor. 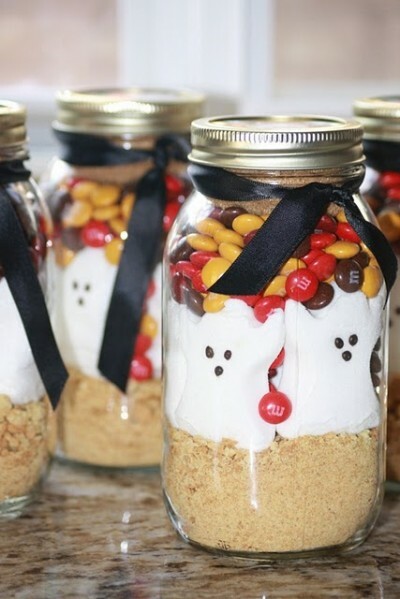 Best Friends for Frosting have a recipe for Halloween s'mores in a jar that wold make a great Halloween gift for a neighbor or friend. 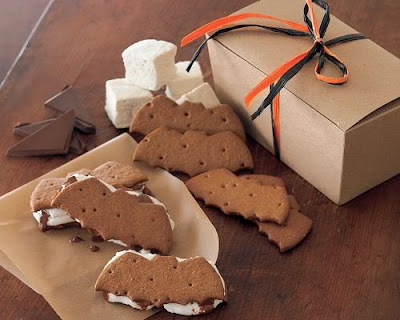 Make homemade graham crackers and cut them out into spooky Halloween shapes to create a treat like these bat s'mores from William Sonoma. 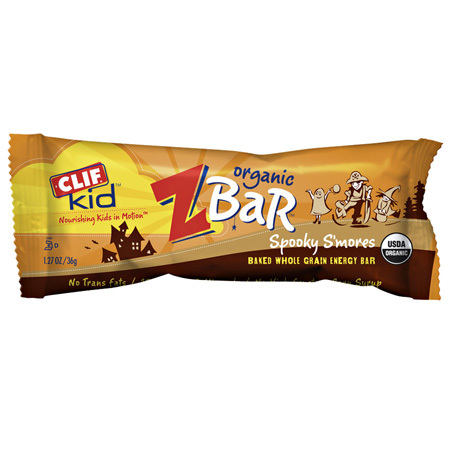 And if you want a store bought option, and a great snack for school, in October the s'more Zbars become Spooky S'more Z Bars. 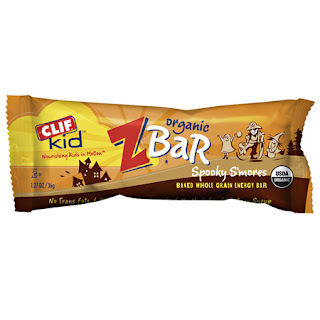 where do I buy these clif bars?! I haven't seen them in the store!